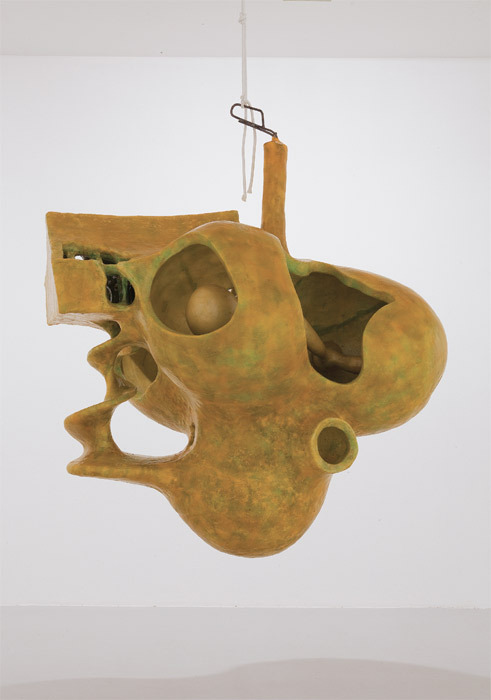 Atelier Van Lieshout, The Farm, 2011, foam, Japanese rice paper, fiberglass, approx. 65 x 59 x 58". 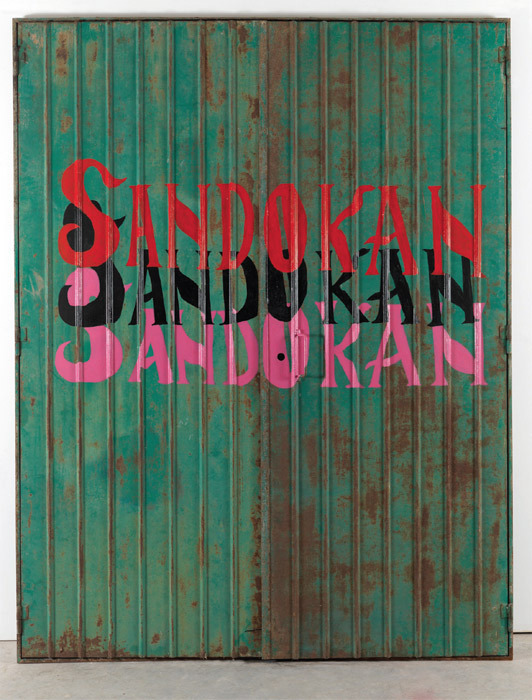 Flavio Favelli, Sandokan (Garage), 2011, enamel on iron garage door, 98 x 76".